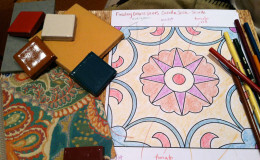 Cuerda Seca is an ancient technique of tile-making characterized by a black line which delineates areas of different color glaze on the ceramic surface. 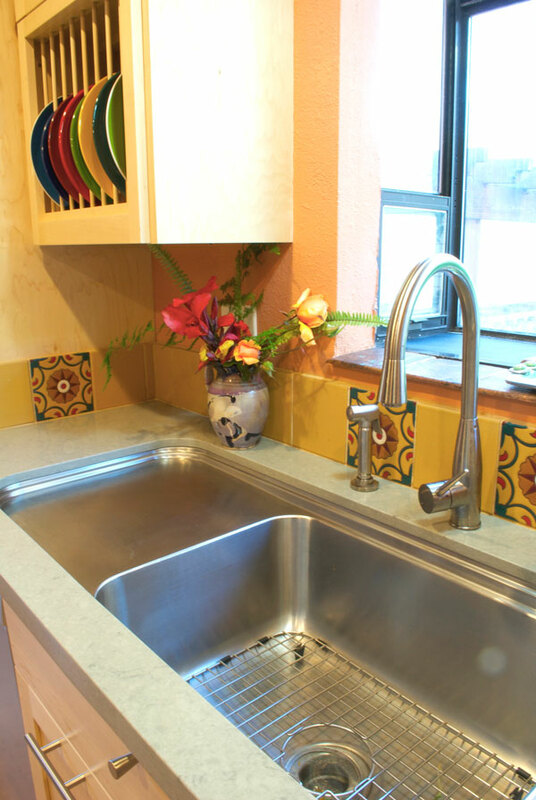 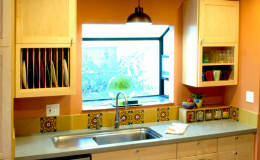 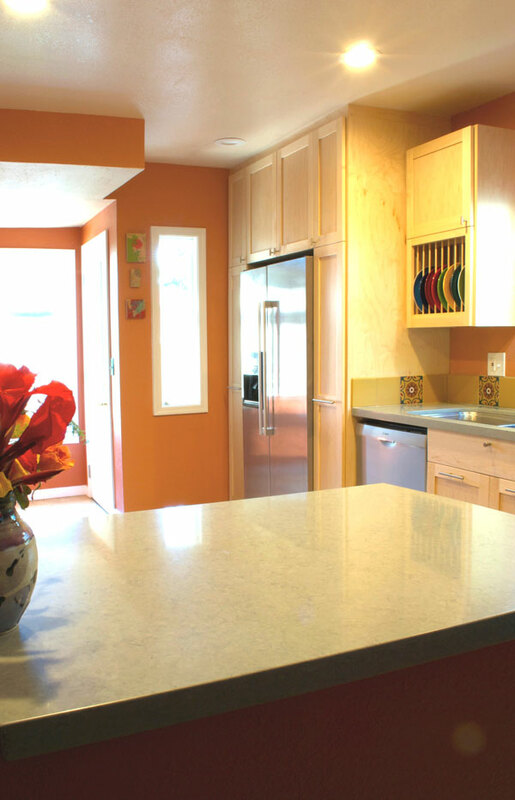 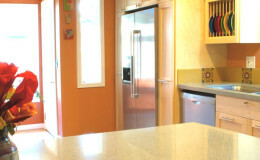 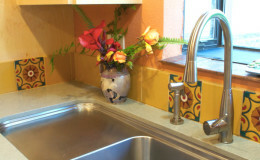 This simple, lovely kitchen was asking for a color boost with tile and wall color. 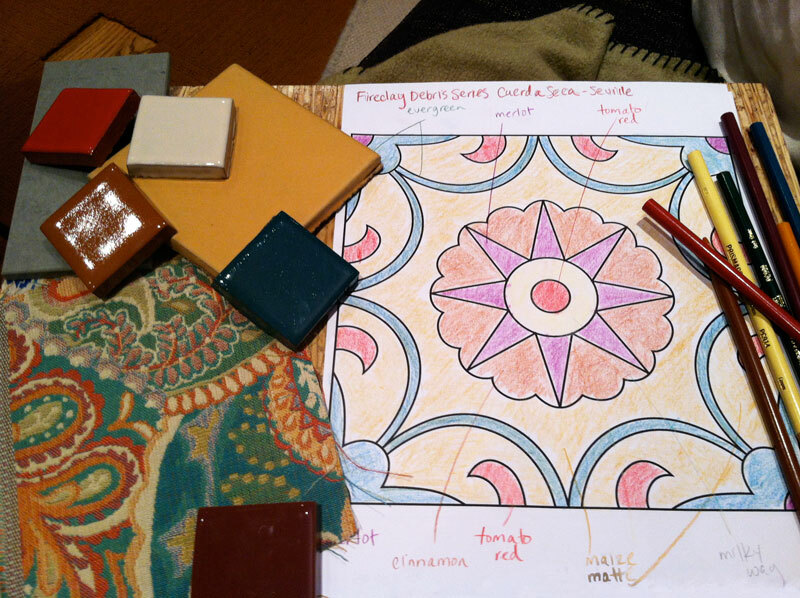 We hand-selected glazes and placement on these custom tiles from Fireclay. 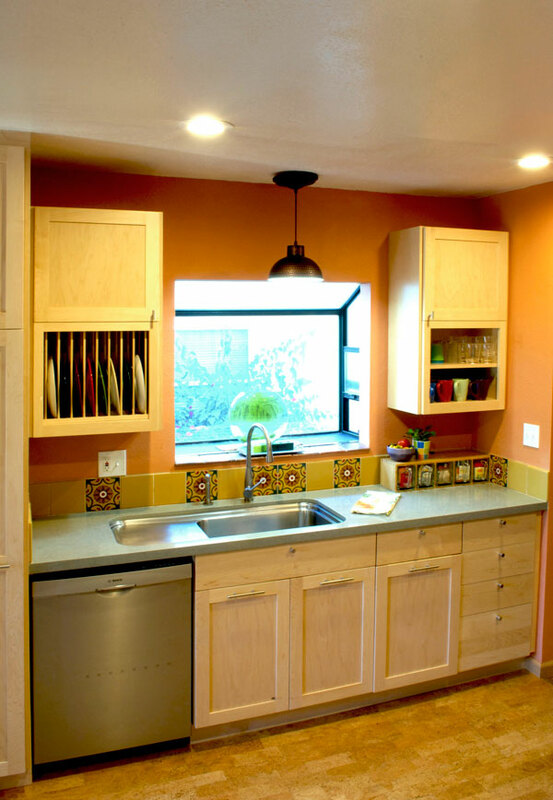 Combined with rosemary colored quartz counters and maple cabinets, designed by Ecohome Improvement, the result is a warm and livable kitchen.